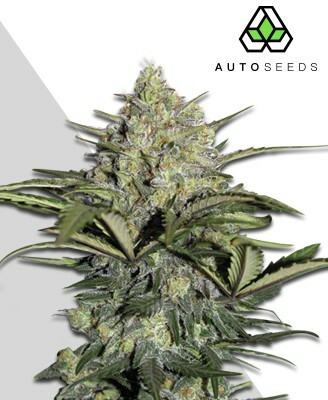 Pure Power Plant is full of landrace genetics to make this strain robust and the medical benefits are very compelling. What’s more this strain has the sort of taste many people just love with a hearty skunk body and lot of tangy lemon. 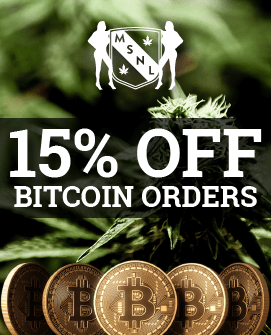 The THC level of this strain is in the region of 19% to 23%,. There is very little CBD, (as in 0.2 to 0.4%). This means that Pure Power Plant can be a good choice for people who need fast and effective relief from physical pain or emotional issues. The high is happy to euphoric, creative and energetic. Pure Power Plant is usually a great choice for a wake and bake strain or to deal with problems relating to concentration. By modern standards, the yield is very high. Indoors you’re looking at 500g/m2 to 600g/m2, or more if you really know what you’re doing. If you want to aim for the upper end of the indoor range, then you would be best to look at sea-of-green/screen-of-green set-ups. This may be a bit too much of a challenge for complete beginners. Although there is plenty of help available online. Outdoors you can expect 600g minimum. 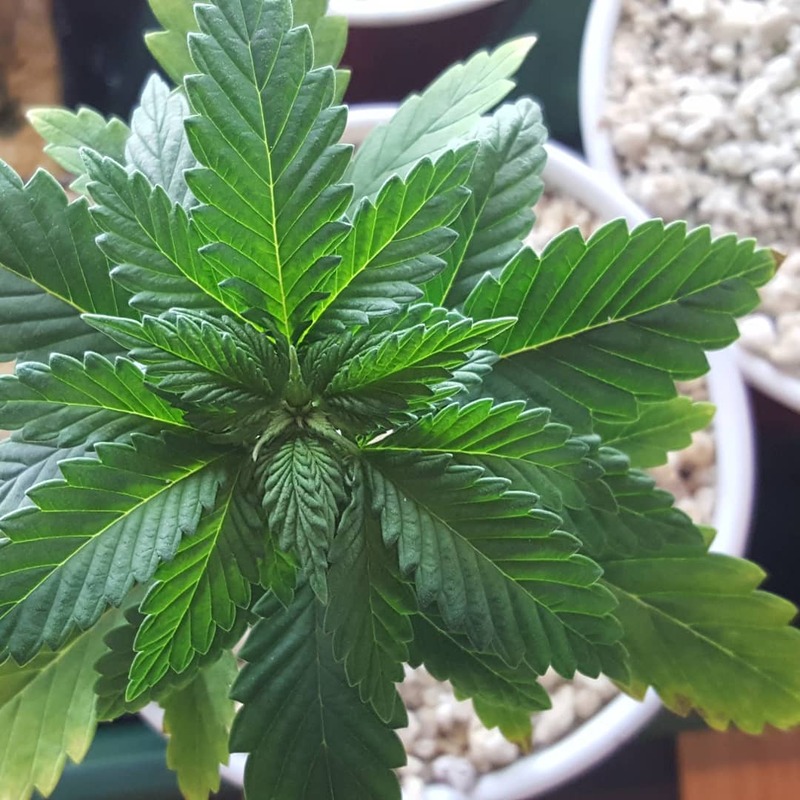 Even even though Power Plant contains about 70% Sativa genetics, they grow into relatively compact plants. The indoor minimum height is about 1M and the outdoor maximum height is about 1.8M. The downside is the compact size leaves less space for buds. However, it means that Power Plant can be grown where space is restricted, which can be a major benefit in today’s world. 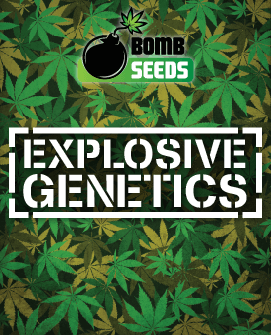 All those Sativa genetics means that Pure Power Plant a bit longer to grow than the average Indica. Indoors it will need about 8 to 10 weeks of flowering time. Outdoors you’ll be collecting your harvest sometime between late September and early October. Indoor growers can trim about a week off that time by using a hydroponic set up. Again, this is probably best done by those with a bit of experience. If you want to grow it completely outdoors, then you will really need to live in a Mediterranean climate. Further north, you could try putting your plants in a greenhouse to give them warmth and shelter from the weather. 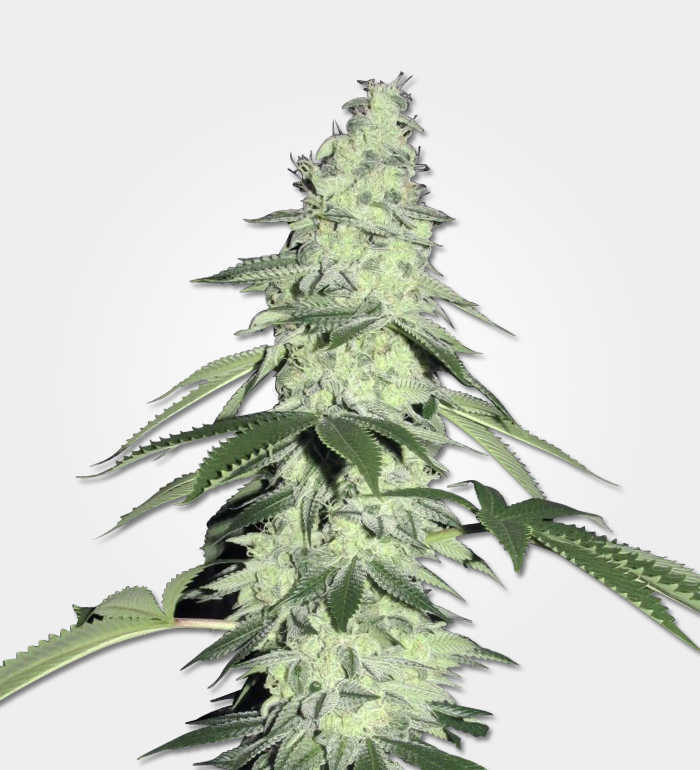 Overall, we’d class Pure Power Plant as a moderately difficult grow. Mainly because the Sativa genetics make it a bit more demanding than most Indicas. Especially more greedy. Having said that, it’s far less demanding than the average Sativa. It also has good resistance to mould, diseases and pests. 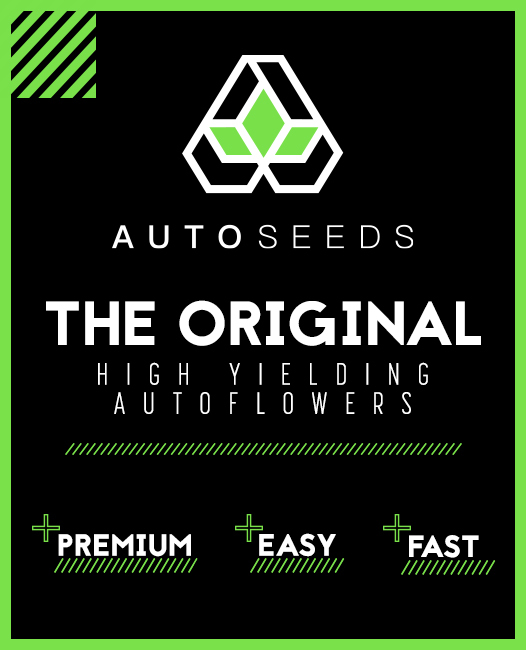 We’d say absolute beginners would probably want to look elsewhere for their very first grow. 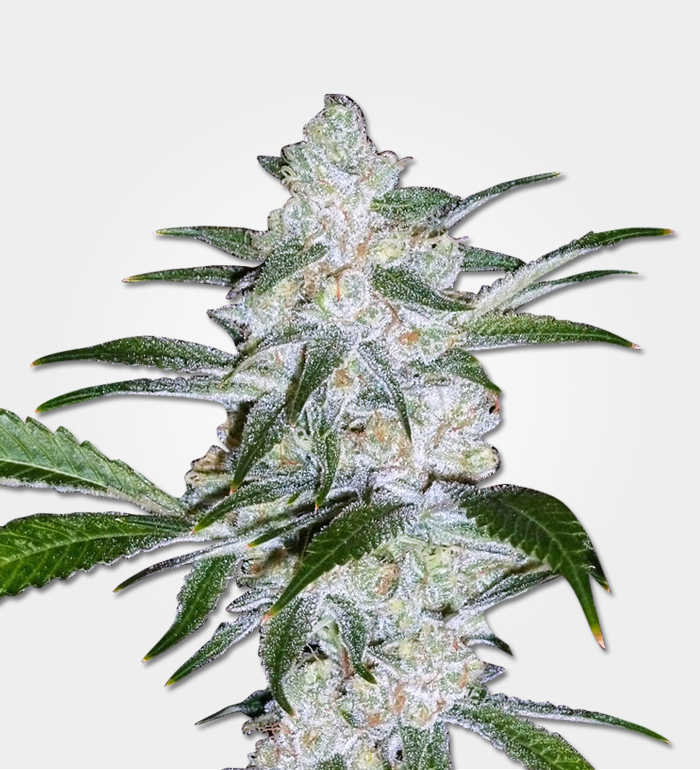 Pure Power Plant has lots of skunk taste, which is balanced by sweet citrus and vanilla. What’s interesting is that the skunk pretty much disappears from the aroma, to be replaced by woodiness. But the citrus and vanilla stay. 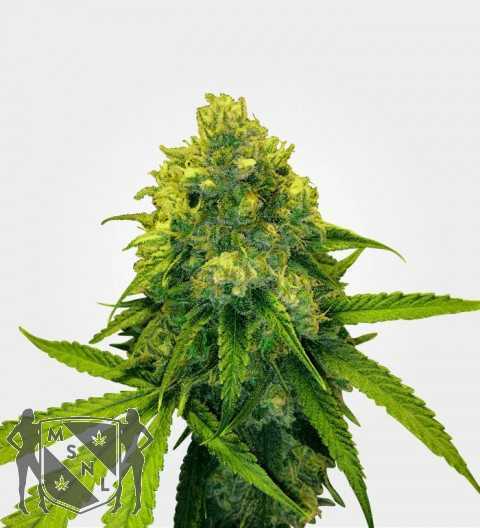 Overall, Pure Power Plant has a very moderate odour, both in flower and when smoked. Nugs are a pleasant, light green with orange pistils and lots of frosty trichomes. If you’ve picked your buds early to get the lower end of the THC range, then you could grind them by hand. But if you’ve let them mature and develop more trichomes then a grinder is a must.